We should manage joy in the exact opposite way that we manage money. We should spend it all, at every chance we get. Ever look around a room – a doctor’s office, a school hallway, the dentist lobby – and think, something is missing here? Spoiler alert: It’s the joy. 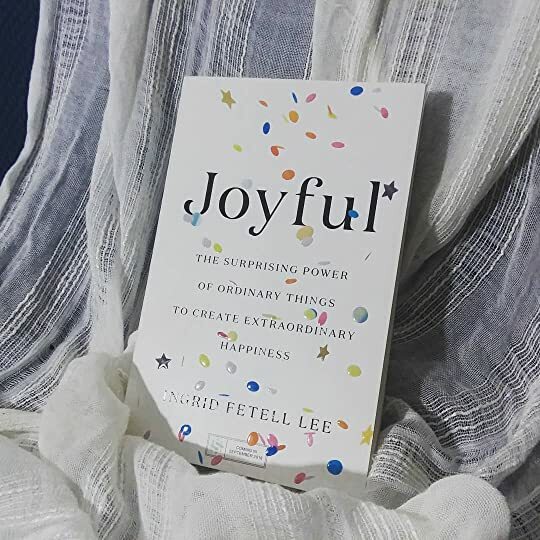 Ingrid Fetell Lee takes a close look at how the simple pleasures in life (such as bringing joy to a room) ultimately transform lives. We rediscover their joy again and again, and we fall a bit more in love each time. But, that begs the question, what makes a room joyful? Everyone can tell at an instant what things make them happy, but how do you take that and add it to a room? …something clicked. I saw lollipops, pompoms, and polka dots, and it dawned on me: they were all round in shape. Lee identified ten delightful categories of joy: Energy, Abundance, Freedom, Harmony, Play, Surprise, Transcendence, Magic, Celebration and Renewal – each of which has the power to transform rooms and lives. This book gave me SO much to think about – so many little things that I always would notice but never understood their impact. Now I do. For example, Lee talks about energy and its influence (through color) in the school classroom. Many (many) schools across the United States look likestandard state penitentiaries – minimal furniture, lack of personality and beige, lots and lots of beige. Beige is a desaturated yellow – a yellow with all the joy sucked out of it! She goes on to describe Publicolor, a nonprofit with a goal of repainting schools fun, vibrant colors. While you may scoff at the idea of repainting a room to bring joy, I want to point out that if a horror movie can design a room to make it unsettling, unnerving and absolutely terrifying, then surely we would want to do the exact opposite in school settings. After a visit from Publicolor, Harlem school officials were absolutely shocked when grafitti declined, attendance increased and both student and teachers reported feeling safer in their cheery new classrooms. Lee has many, many more examples – each one as delightful and surprising as the next. I absolutely adored reading every little anecdote and cannot wait to start transforming my house to make it a place of joy. You have a whole world of joy right at your fingertips.